Distillerie Crozet Frères in Thizy, France. In the basement of Distillerie Crozet Frères, Monsieur Crozet himself is showing off his stash of ingredients: stacked boxes of dried herbs, barrels of citrus peels and a large container of saffron, the value of which I'm afraid to inquire about. In the next room, on wet brick and concrete floors, huge presses are slowly extracting the juice out of a shipment of lemons. Farther on, beside yellow-painted floor-to-ceiling shelves lined with rows and rows of liqueurs and syrups, a simple hot plate rests on a table, holding pots of the bright-coloured wax used to seal each of the distillery's bottles, one by one. 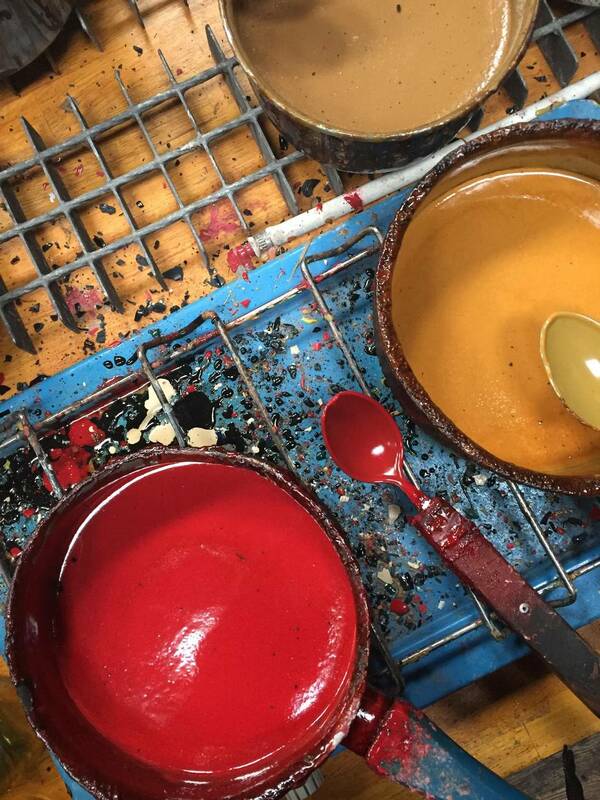 The Crozet family has been manufacturing its wares here for four generations, since 1875. The product list is massive: more than 50 syrups and 35-odd liqueurs in flavours such as rose, blackberry and chestnut; eaux de vie and absinthe; and aperitifs such as their specialty, Skos, a quinquina – an aromatized wine traditionally containing quinine – whose label once boasted of its energizing properties: "ne fatigue jamais." Located in the village of Thizy, about an hour's drive northwest of Lyons, the distillery is far from the beaten tourist track – and, in fact, typically only welcomes guests to its tasting room and store, not into the depths of this active, busy workplace. As I sip a sample of Skos, hoping for a sudden reversal of jet lag, we chat about the business and its place in a community which, as with many small towns around the world, struggles to keep its young people from leaving for the big city. The best part? I've been conversing with Crozet this whole time en français. Because I'm not on just any distillery tour – I'm on a field trip with my French class. Aided by a specially prepared vocabulary (with words such as wax, barrel and tank) and a professeur on hand to help explain any tricky terminology, I'm practising my language skills in the real world while getting acquainted with local food and business culture, too. I've travelled here not to get somewhere, but to be somewhere, to escape from checklist tourism and simply spend time with a new place and its people. Every morning, we spend three hours in the classroom conjugating verbs, practising new words and perfecting pronunciation. Then, each afternoon, we're ferried to a different town and business to taste their wares and test our skills. In the evenings, after a little downtime, we sit down at the table for a four-course meal prepared by the school's chef, always accompanied by a staff member for the sake of company and conversation – the latter aided, bien sûr, by a glass of French wine. The week continues in this way: a little grammar, a little French cuisine, a little time exploring historic villages or, say, dining on asparagus "three ways" and meringue spheres filled with the season's first strawberries in a centuries-old château. On our free afternoon, I squeeze in a pastry lesson, prepping dense, buttery financiers and delicate tuiles that must have passed muster, as they turn up on our dessert plates that night alongside an icy sorbet. In keeping with French tradition – this is a cultural immersion, after all – we share a cheese plate at each dinner as our third course, accompanied by a brief lesson from the school's chef. We're taught how to cut each cheese properly; that we should never spread cheese on bread, but simply place it; and that as children, our teachers were chastised by their parents for eating cheese without bread. Land of Atkins this is not. And we learn about the provenance of each cheese – the region, the type of milk, the aging process – before we pass the tray around to try them for ourselves. So it's no wonder that I feel prepared for our cheese tasting with Laurent Mons of Mons Fromager-Affineur, a local company that exports its cheeses to 19 countries. 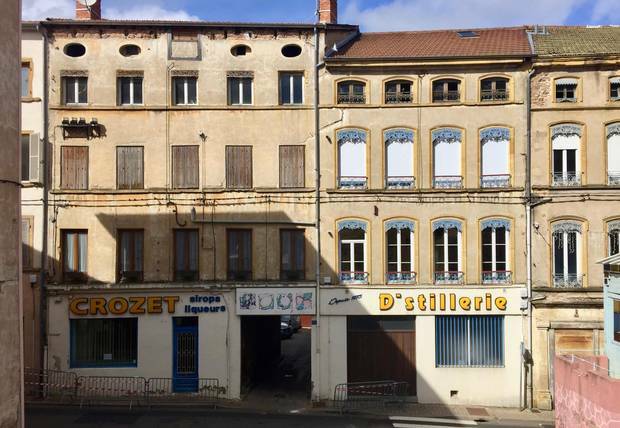 We pull up chairs at Les Halles Diderot, Roanne's indoor market, to watch a brief video about the cheese-making process before diving into our samples of fromage – one soft, one hard, one goat and one blue – and the red and white wines served alongside. It turns out we're expected to cast a critical eye (or, rather critical tastebuds) at the pairings, and Mons has prepared tasting sheets so we can take organized notes on each cheese: whether it has a hard or soft rind, what type of milk it's made from and how well it goes with each wine. "It's not a test," he says to us in French, although it certainly has the appearance of one – at least for the cheeses themselves. I give top marks to the rich-tasting blue, which turns out to be their own 1924 Bleu, made from a blend of cow and sheep milk. While none of their products are sold in Canada, I'm sad to hear, I can find it at Whole Foods in the United States, next time I'm travelling that way. 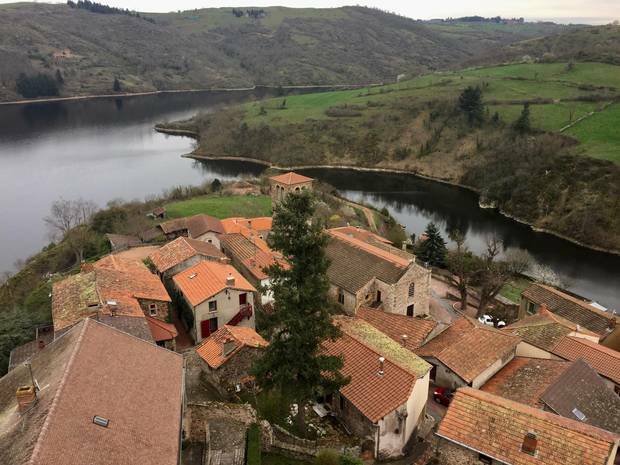 Excursions arranged by École des Trois Ponts include visits to the medieval village of Saint-Jean-Saint-Maurice-sur-Loire, where students can converse with local entrepreneurs and artisans. One day after lunch, we wind our way up country roads in the town of Saint-Symphorien-de-Lay to the farmstead where proprietor Nicolas Piot produces chocolates and pastries, sold on the premises as well as at local markets. When we visit, Easter is less than a month away, and he's busy creating treats for the occasion. We crowd into the tiny shop as he releases cartoonish milk-chocolate pigs, cows, tigers and fish from moulds so we can see the works in progress, then shows us finished bells and rabbits adorned with festive seasonal ribbon. But it's squares of single-origin chocolate he has laid out for us to sample and comment on, as well as a scattering of his sablés, buttery cookies resembling shortbread in flavours such as chocolate and pistachio. The former is fodder for conversation: the 68-per-cent-cocoa Peruvian variety is flavourful and complex, the 46-per-cent-cocoa sample from the Dominican Republic much more light-tasting and creamy. But the sablés are a revelation, deceptively simple, melt-in-your-mouth treats that really showcase Piot's talents, not to mention his business's butter consumption. That evening, doing my homework – a faux letter to a friend about our excursion that day – I describe the narrow roads, green hills, stone buildings and fields full of cows on the way to Piot's shop. "Before he started this business, he worked for top pastry chefs and chocolatiers to learn everything he could," I write. "Now, he makes chocolate bars and confections as well as pastries to order, such as birthday cakes. He also makes excellent sablés – I bought a bag to share with you!" I have to admit that's a little white lie. The sablés aren't going to make it onto the plane. French-language and cooking programs at École des Trois Ponts in Riorges, France, are generally packaged by the week, with fees including full room and board. Mornings are spent in the classroom, while afternoon activities might include cooking classes, gourmet excursions or countryside walks. 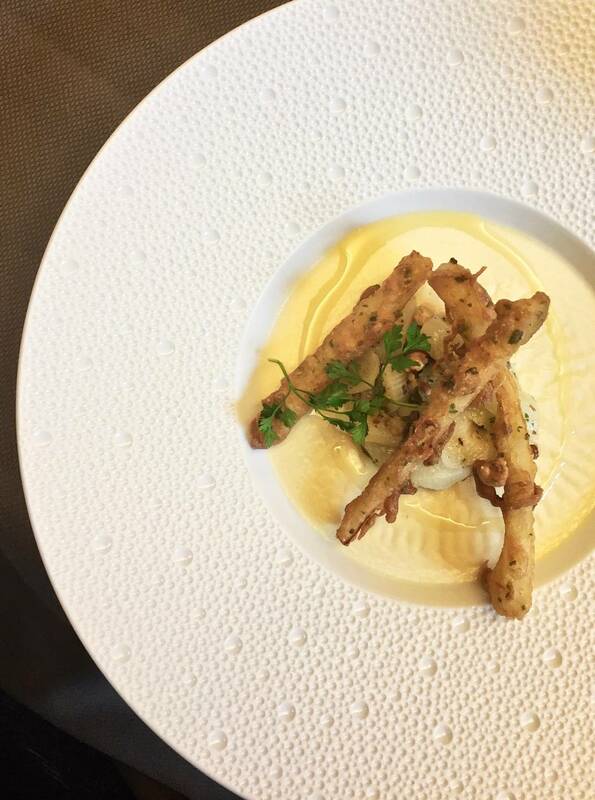 From €1,090 (about $1,650) for the French & Gourmet program; 3ponts.edu. Riorges is a short taxi ride from the Roanne train station, itself about an hour by train from Lyons. 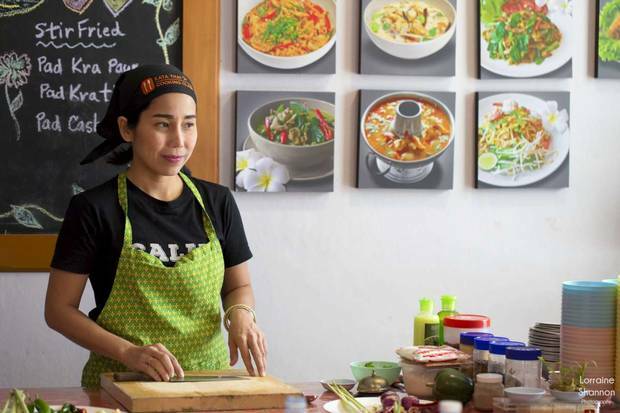 A session at Kata Thai Cooking Class in Phuket, Thailand includes a tour of a local market. In Phuket, Thailand, the Kata Thai Cooking Class has you chop, stir and cook your way toward a full meal. Menus vary by day of the week but are likely to include a green or red curry, a soup and a rice or noodle dish. If possible, choose a session that includes a market tour; you'll spend close to two hours sampling local ingredients and dishes from various stalls, all under the guidance of instructor Sally, who will encourage you to try foods such as fresh-cut durian, roasted crickets, pungent century eggs and hot rice-flour waffles (katathaicooking.com). Éclairs are prepared at Montreal’s Maison Christian Faure. Montreal's Maison Christian Faure is oft recommended for its sublime pastries and convenient Old Montreal location, but less well-known is its cooking school, professional during the week and for "serious amateurs" on Saturdays. Expect to be on-site for six hours, including a catered lunchbreak, and to get hands-on practise at your own cooking station. 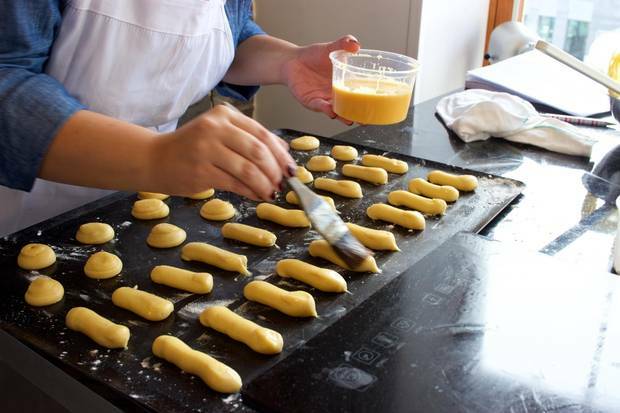 Topics vary by season and demand but might include éclairs, croquembouche, ice cream and sorbet, or croissants and brioche (maisonchristianfaure.ca). 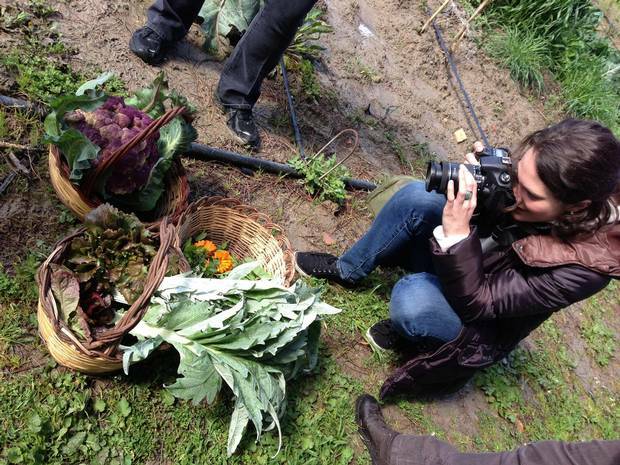 The Anna Tasca Lanza Cooking School in Sicily has in the past included courses in food photography. In Sicily, Italy, the Anna Tasca Lanza Cooking School hosts a range of classes and itineraries, from a simple lunch lesson to a multinight stay that encompasses local food experiences such as making pizza, tasting coffee or joining a local shepherd and cheesemaker as he goes through his daily routine of making ricotta. Frequent guest-led workshops cover topics such as food writing and drawing, while seasonal "cook the farm" sessions might have attendees spend five days focusing their attention on tomato paste or olive oil (annatascalanza.com).